They are very pretty and so neat. Meaning they look perfect. Perfect – it is precuts and that nagging UFO! 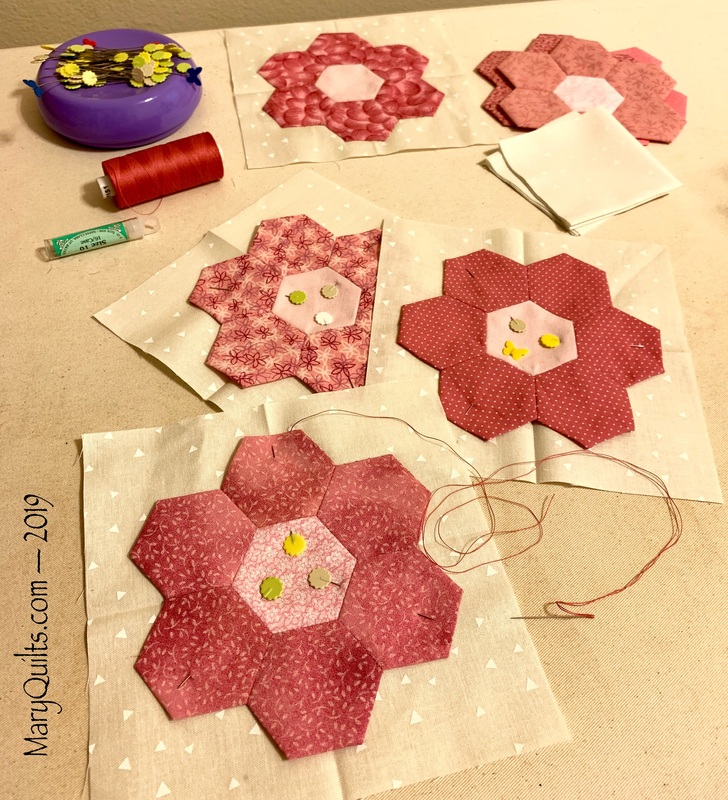 Nine-patch blocks will look nice with these pretty flowers.